The core of Marx's economic analysis found early expression in the Ökonomisch-philosophische Manuskripte aus dem Jahre 1844 ( Economic and Political Manuscripts of 1844 ) (1844). There, Marx argued that the conditions of modern industrial societies invariably result in the estrangement (or alienation) of workers from their own labor. 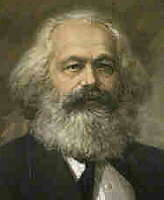 In his review of a Bruno Baier book, On the Jewish Question (1844), Marx decried the lingering influence of religion over politics and proposed a revolutionary re-structuring of European society. 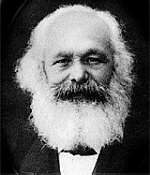 Much later, Marx undertook a systematic explanation of his economic theories in Das Capital ( Capital ) (1867-95) and Theorien Über den Mehrwert ( Theory of Surplus Value ) (1862). Comprehensive coverage from * The Marx/Engels Archive. An article by Jonathan Wolff in The Stanford Encyclopedia of Philosophy. 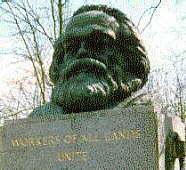 Paul Warren's paper on Marxist objections to exploitation. A contemporary defense of Marxist aims from Bob Stone. .